Bootlegger Guitar Blues 30 2018 - Snake Cabinet Ashen Amp. 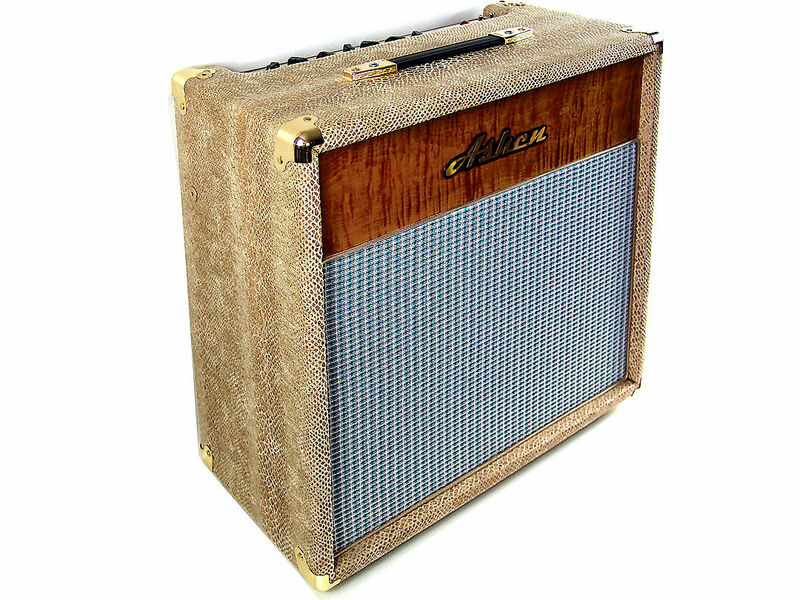 Bootlegger Blues 30 Tube Guitar Combo 30 Watts Pine covered by water-repellent Snake Fabric. 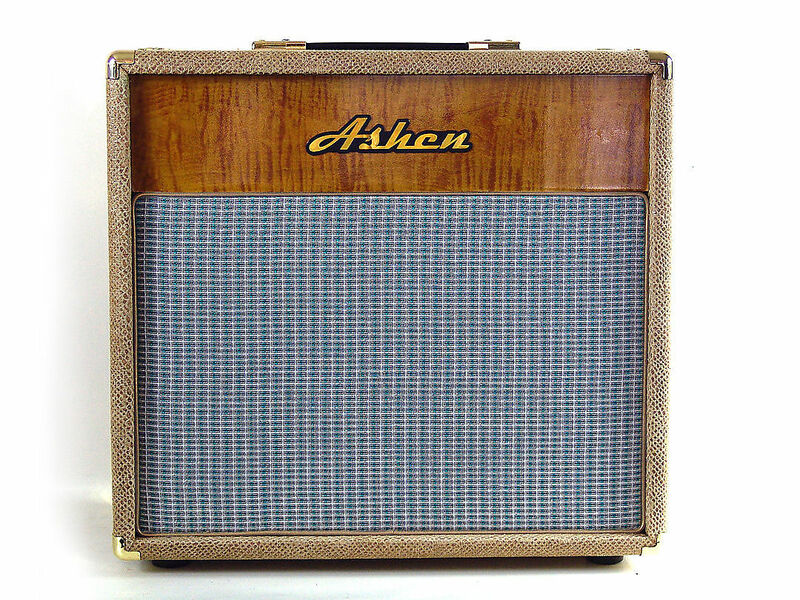 Custom handmade enclosure By Ashen Amp. The sturdy cabinet is made of carefully selected pine wrapped in a water-repellent snake fabric, top front panel is piece of colored flame maple, back panels - maple and zebrawood. Think of a modified Blues Junior (a 30 watt Jr) with 6L6 power tubes with an on board fat switch for the Marshall growl, separate gain and volume control, dial in your tube saturation satisfaction, or clean country chime. It easily works with your effect pedals with its on board loop and installed vintage analog reverb tank. The Bootlegger "Blues 30" was born to be an outlaw and play the hallowed grounds of the deep south - where whiskey-soaked guitar tones are necessary. Our amp is steeped in tradition, not convention. It's a versatile workhorse amp that offers a clean tone like a fine shot of reserve and can be cranked like pure, raw moonshine. 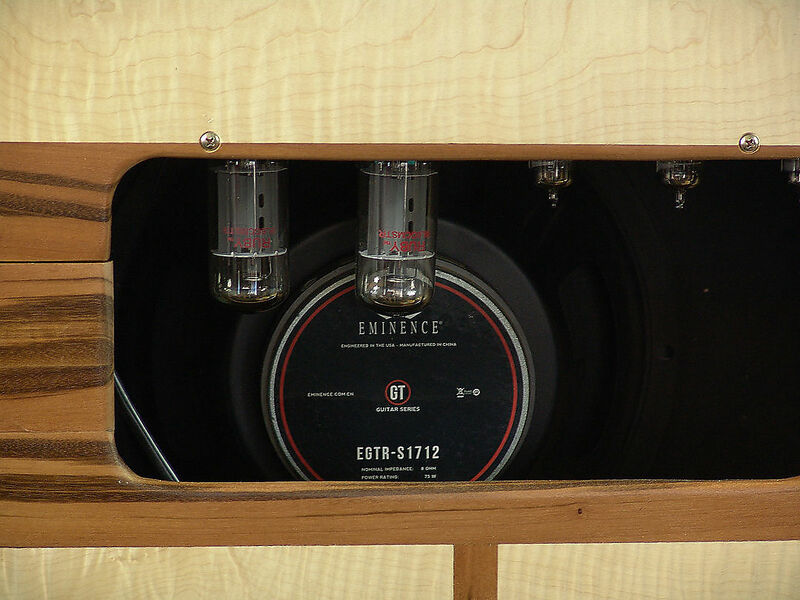 At our price no other brand amp can come close to it. The BootLegger 'Blues 30' is the only pure tube tone you'll need! 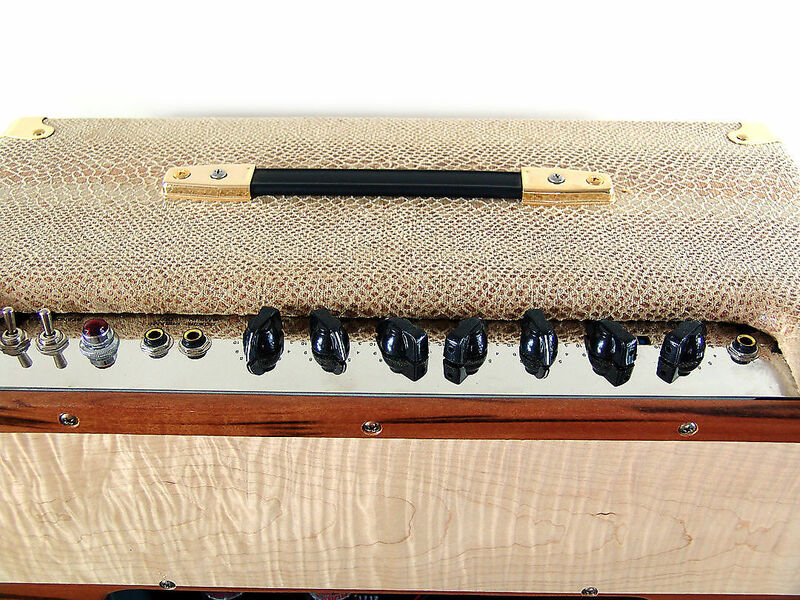 Our players compare our Blues 30 6L6 tube amp to a 6L6 modified Blues Jr. but better. More tube saturation crunch, more options for more sounds. 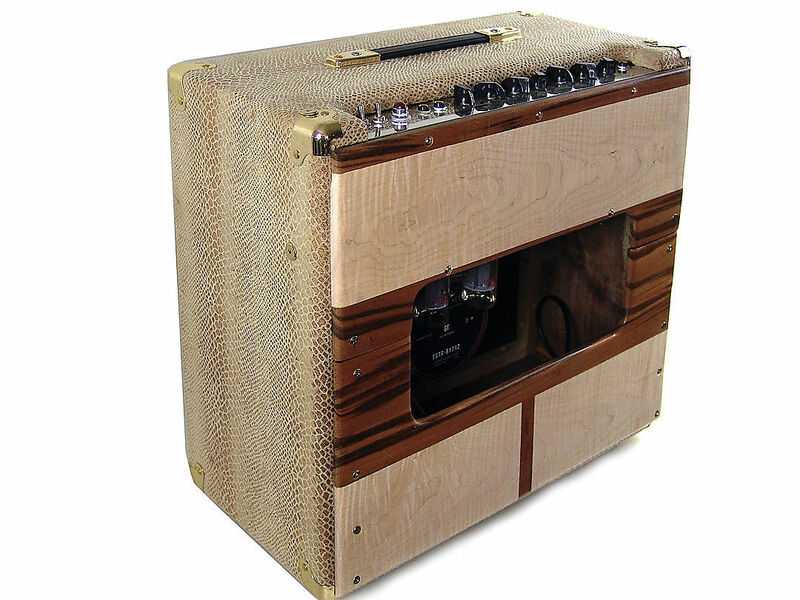 We can custom build your Blues 30 with tube and speaker options. 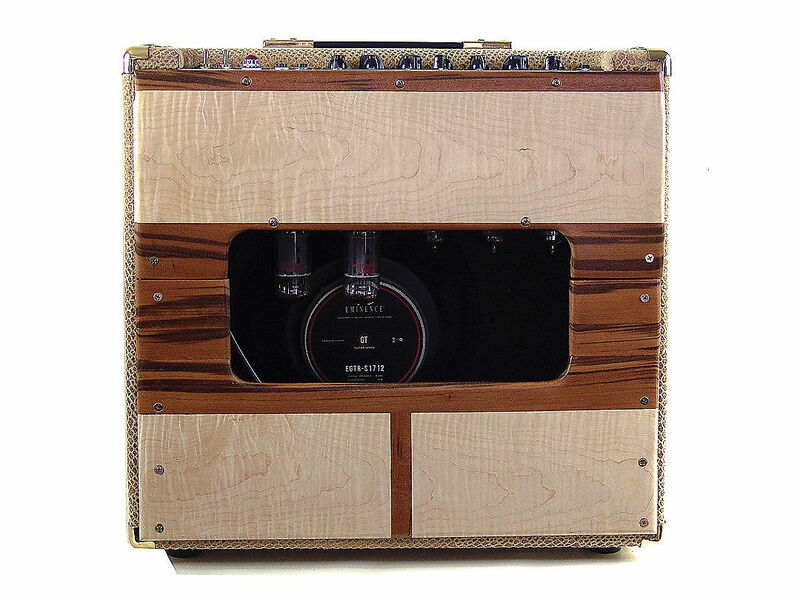 We also offer different cabinet options from flamed maple, custom tolex and reclaimed whiskey barrow staves. Call us to discuss. * 30 lbs only - compare to any other amp in its class.